I loaded in my laundry and began feeding the washing machine my quarters. One of them wouldn't fit and after the 2nd try I realized it wasn't a quarter. It was a Tanzanian Shilling. It's slightly smaller in diamater than a U.S. quarter but about 30% thicker. 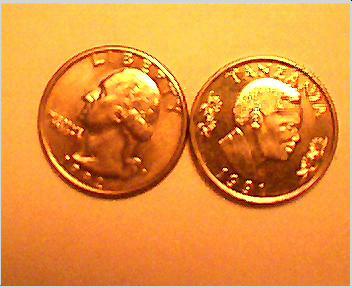 It was minted in 1991. On one side it has the portrait of Ali Hassan Mwinyi with cloves on each side of the portrait. 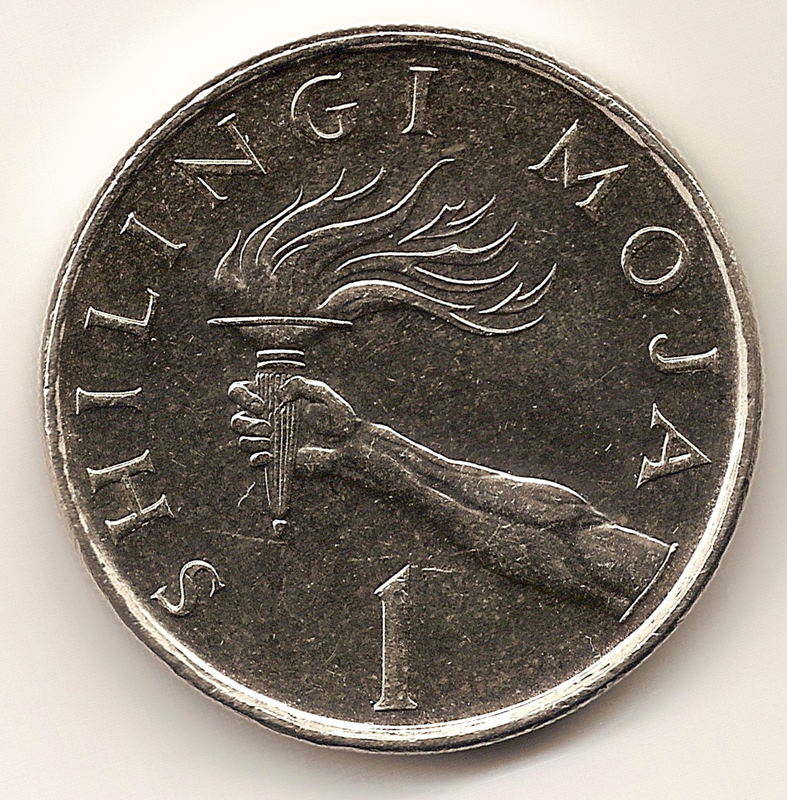 On the other side of the coin it says "SHILINGI MOJA" around the edge and has the number "1" at the bottom. In Swahili shilingi means shilling and moja means one. In the middle is an arm holding up an Uhuru (freedom) torch. 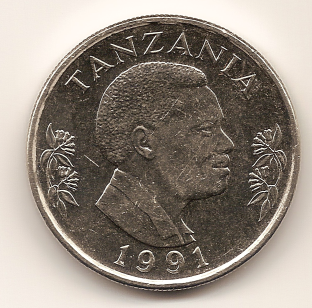 I read that it was (and maybe still is) illegal to export Tanzanian currency from Tanzania. The volume is probably an overestimate due to the relief of the coin. The coin is made of nickel-clad steel. The density of iron which makes up the majority of steel is 7.86 g/cm³ which is very close to the measured density. 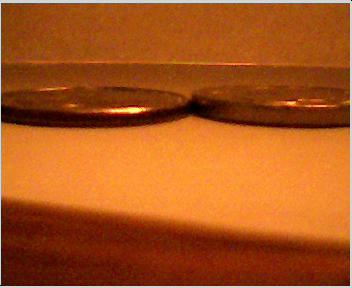 The last two pictures compare the diameter and thickness of the Tanzanian Shiling Moja to the U.S. quarter.